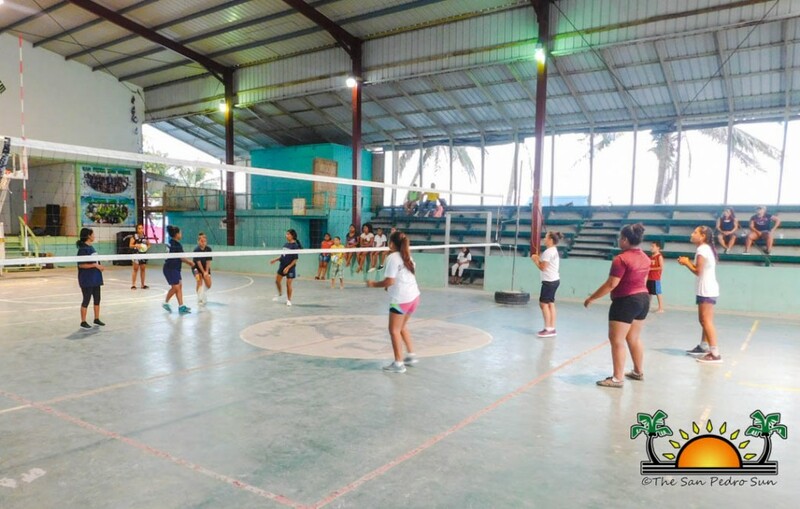 The 2017 San Pedro Volleyball Tournament came to an end over the weekend of November 25th- 26th. 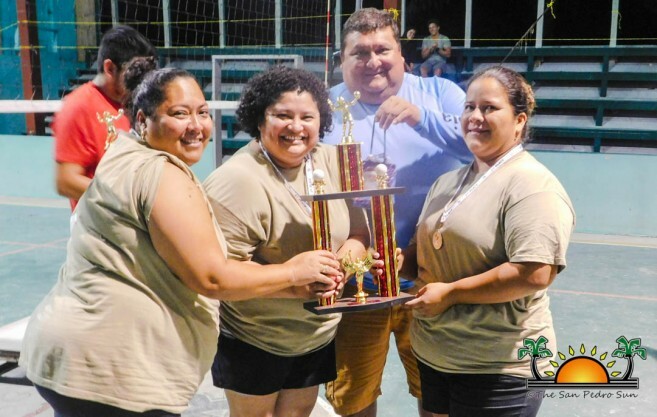 Six games were played in the end, and four champions were crowned. 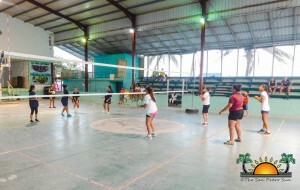 The first round of crucial matches was played on Saturday, November 25th, starting at 3PM. 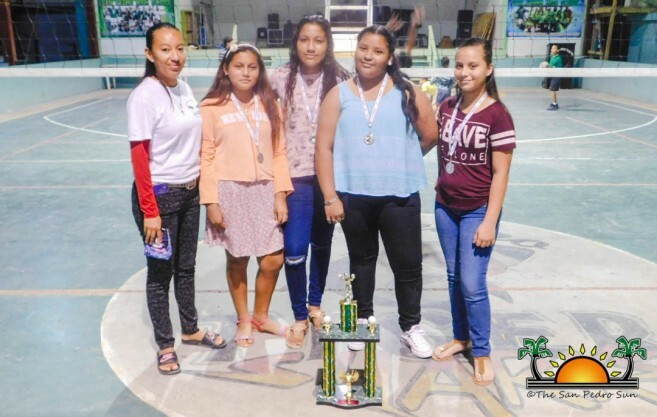 The Female Primary School Category battled for third place at the Angel Nuñez Auditorium. 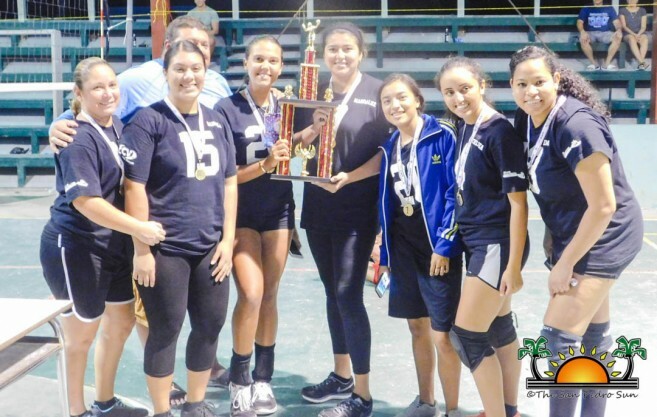 New Horizon girls took on the Holy Cross girls for first place, and with a solid three out of five sets (26-24, 18-25, 17-25, 25-19, and 15-13) New Horizon took the win. Catherine from New Horizon was the player of the match, netting 24 points and leading, the New Horizon girls to third place. 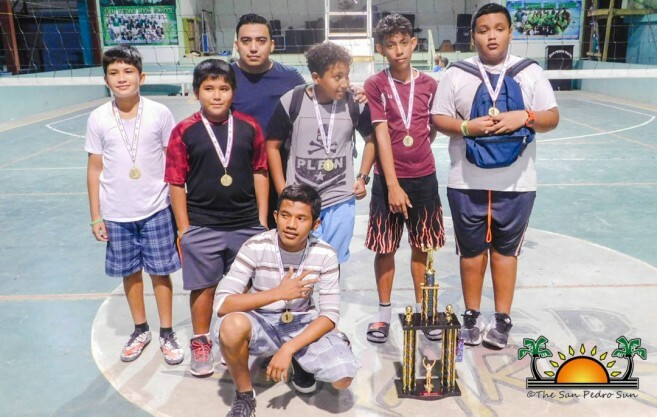 Ambergris Caye Elementary School (ACES) boys won third place by default against the Isla Bonita Boys. 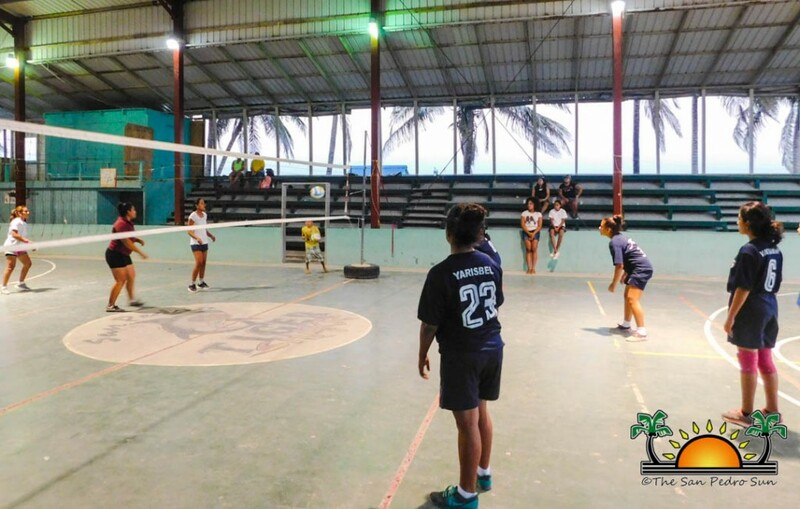 The next match was for the Female Primary School Championship and saw San Pedro Roman Catholic School (SPRCS) girls going against Isla Bonita girls. 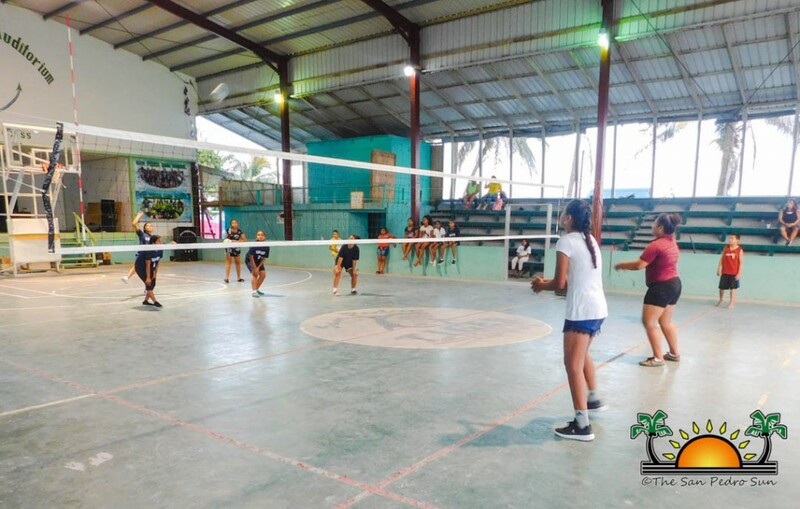 It was a tight match, but the SPRCS girls took three out of five sets (20-25, 21-25, 25-19, 25-17, and 15-10) and the coveted Championship. 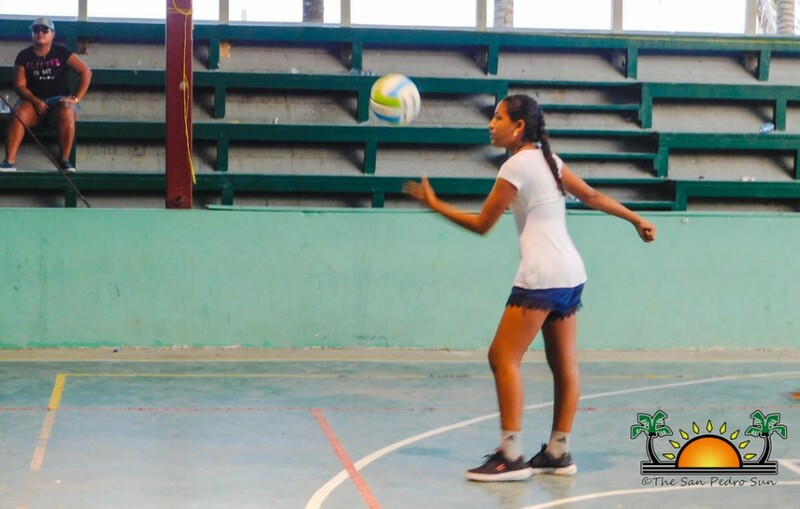 The player of the match was SPRCS Nayeli Cruz, while the Isla Bonita girls led to settle for second place. The day’s final game was another championship match, this time for Male Primary School Category. The New Horizon boys dominated over the SPRCS boys, winning three out of the four sets (25-22, 25-16, 17-25, 25-15). 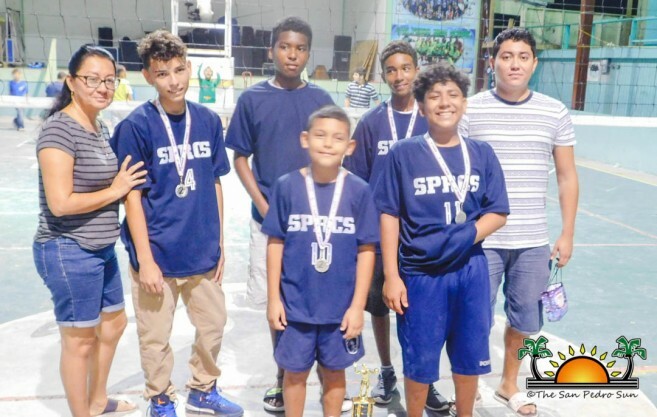 New Horizon’s Jerson Betancourt from New Horizon was the game player, and his team claimed the first place in the Male Primary School Category. 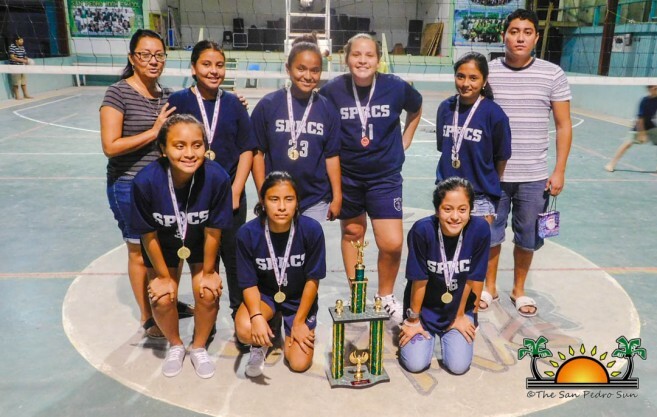 Second place went to SPRCS. Games continued the following day, on Sunday, November 26th, starting with the Female Senior Category. 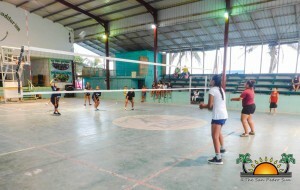 The first match saw San Pedro High School taking on San Pedro Junior College for third place. After winning three sets out of five (17-25, 18-25, 25-23, and 25-24) SPHS took the victory, with Aliyah Pilgrim named the player of the match. Then it was time for the Female Senior Championship match, with the Wild Sets going against Fireball Girls. 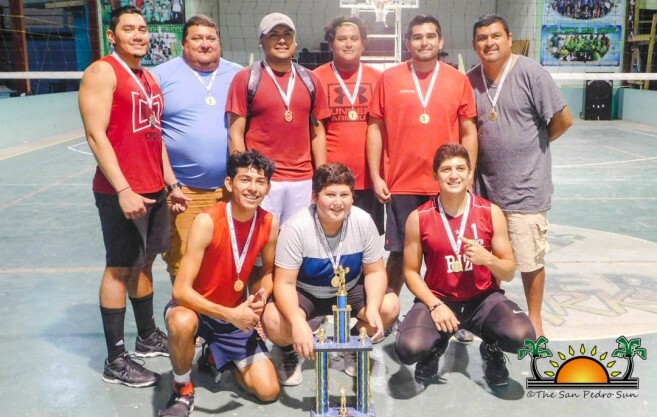 It was a tight game but the Wild Sets fought hard and took three out of five sets ( 25-10, 25-23, 25-23, 25-19, 17-15) along with the championship. The player of the match was Wild Set’s, Daniela Salazar. Settling for second place was the Fireball Girls. In the Male Senior Category, Wod Zone won by default against Tuff E Nuff. The tournament ended with the Male Senior championship game, a final match that saw Barbos taking an easy victory against Anonymous. Barbos won all three sets: 25-13, 25-17, 25-13, and player of the match was Ricky Luna. Congratulations to all the winners! 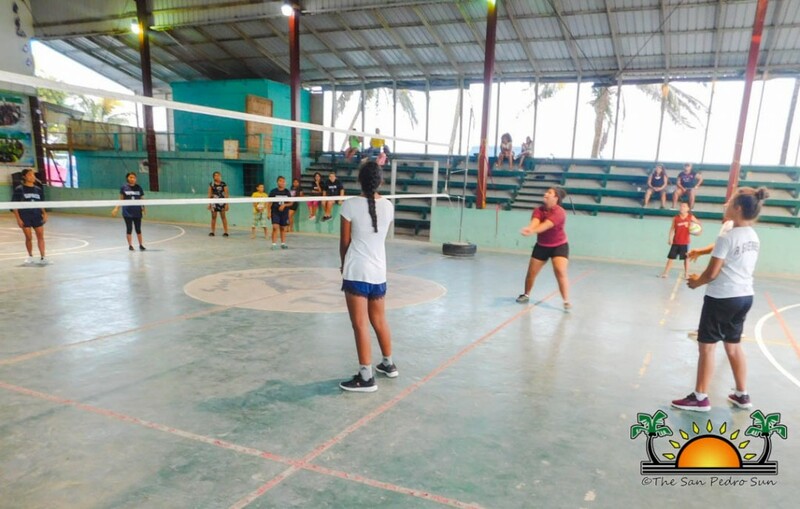 The organizers of the San Pedro Volleyball Tournament 2017 would like to thank all the teams that participated, and they look forward to the next tournament.